Similarly, technology like 3D has shown us a new way of introducing your imagination or concept for the business providing the awesome visualizations and understanding of the concepts before they come in reality. CrossGraphicIdeas is a Jaipur based Web-designing agency and 3D studio which offers various services like 3d Architectural Rendering, Stall design, Walkthrough, 3D Interior and Exterior, Modeling, Floor Plan along with Corporate Presentation. The design creates a real like image of any given house/property in an exciting and entertaining way. 3D Architectural Visualization is the process used for advertising, which required in real estate business and Construction Company, which is observed by the presentation of digital architectural objects for different target audiences. This includes a print image in various formats required for billboards or flyers, television advertising in various HD formats along with interactive presentations which are user-friendly on desktop computers, Tablets, and Mobile computing. The technology is widely used for the approval of projects at different levels. It depends on the kind of object you want to advertise, and it is not necessary to have that building in reality. It helps to create vibrant photo realistic images giving a real look as if the building has already been built. CrossGraphicIdeas is specialized to develop the pure digital production with visual effects and special advanced effects to make your vision come in reality. CrossGraphicIdeas can help those people who are related to the field of design and technology, Real Estate, commercial property, advertising agencies, product design, architecture, and many more. 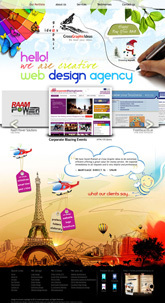 Our services are described in detail along with our portfolios on CrossGraphicIdeas website. 3D interior and exterior designs have helped a lot of people by making them understand their clear vision by using this technology. With the help of 3D interior exterior designs, the industries are improving their demonstration methods day by day especially when it comes to presenting their ideas about animation and virtual reality. Today, almost every industry uses 3D interior exterior designs and it has been constructed by these latest technologies. The technology (3D interior exterior designs) developed by the artists/designers are huge in demand due to their incredible talent. It is a fact that 3D interior and exterior rendering is becoming very common day by day due to their popularity and advanced features. It (3D interior exterior) is rendering is basically a technology of developing 3D interior exterior models for the architectural industry to give a photo realistic image. The technology helps the architects in a huge was as when they work on any new project, they don’t have to first draw a 3D plan as it helps them to visualize the interior exterior model in a better and tending way. With the help of this technology, CrossGraphicIdeas is motivating many beginners and companies by serving the best services to the finest architects and developers in the industry. 3D Rendering not only helps you to make your Imagination real but also it allows you to make any changes if required before it is too late. The technology like 3D Architectural Rendering and 3D Walkthrough are very realistic that lets you, witness, observe a specific development before the final outcome is revealed. This benefit which you get from these technologies such as 3D Interior and Exterior, 3D Walkthrough, online floor plans are not available in 2D Animation Techniques.